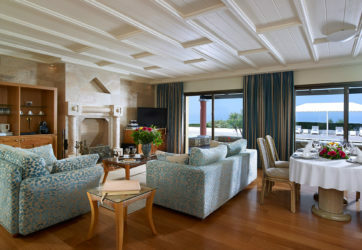 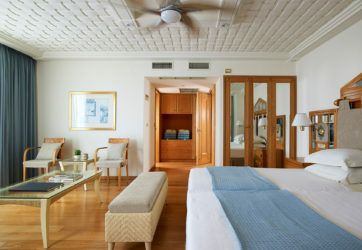 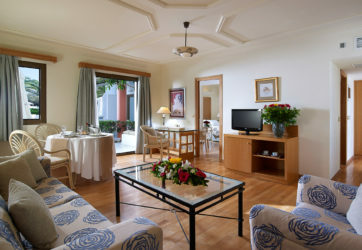 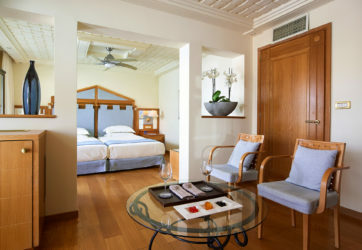 Junior Suites enjoy an area of 45 sq. 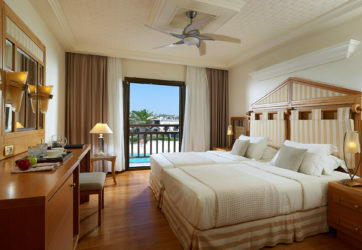 m. able to accommodate 2-4 persons adjacent to garden, pool or sea view, all with sharing pool. 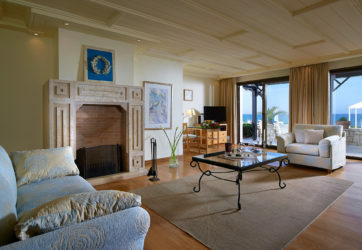 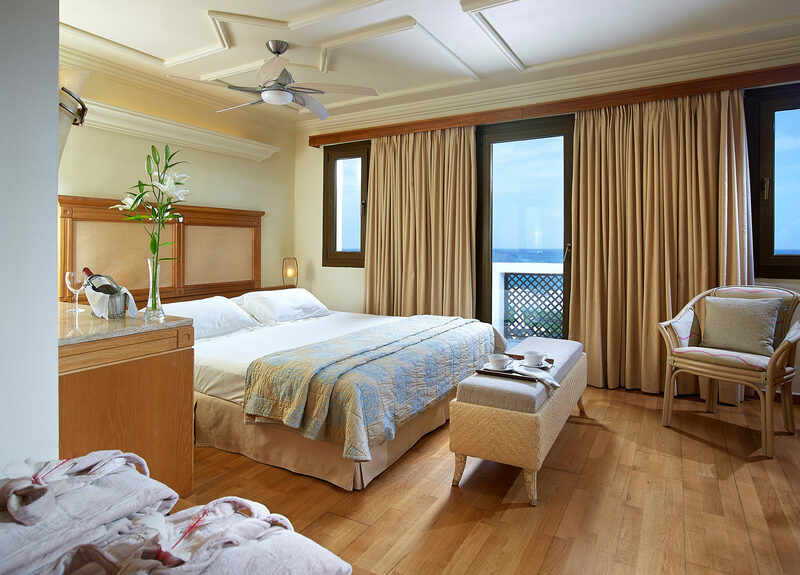 They feature a bedroom / sitting room and a bathroom with whirlpool bath and a private section on the beach as well.They include direct dial telephone and Internet access.